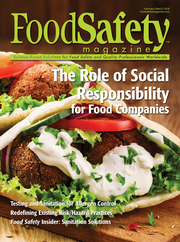 Independent Advisor for Labeling and Claims, Betty Campbell and Senior Director for Food Consulting Services, Allen Sayer have co-written an article on how FDA interprets and enforces regulations of Medical Foods in Food Safety Magazine. This narrow product category sees a lot of confusion within the industry as to what constitutes a medical food, how it can be labeled and its ingredient requirements. The final webinar as part of the EAS presented series for CHPA’s OTC Academy will take place on April 17, 2018, at 2 pm when Independent Advisor for Quality and Compliance Robert Fish, will discuss Responding to 483s and Warning Letters. Fish says that it is extremely important to promptly respond to any correspondence from FDA, particularly the FDA-483 or a Warning Letter. If a foreign firm receives a Warning Letter from FDA the company will most likely be placed on an Automatic Detention list which means that none of their products will be permitted entry into the U.S. until the issues are corrected and FDA has verified the corrections. This webinar will explain the FDA processes and provide guidance on how to manage these issues. Independent Advisor for Food Law and Regulation, Steve Armstrong discussed how FSMA implementation has impacted food safety systems during its first year of enforcement in the prestigious FDLI Update. Mr. Armstrong is the former Chief Law Counsel for Campbell Soup Company and works with EAS client on product development issues. 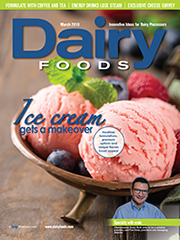 EAS Independent Consultant, Rudy Westervelt, discussed fulfilling quality assurance potential and generating a net profit in a recent article published in Dairy Foods Magazine. Quality assurance could — and should — drive revenue by providing information that allows plant leadership to control costs, improve operational efficiencies and maximize finished product output, he says. Westervelt specializes in problem-solving related to dairy food quality, loss reduction, employee safety results, throughput and cost control. EAS Independent Advisor for FSMA, Charles Breen, hosts a new informational video on EAS services in the complex area of the Food Safety Modernization Act, including FSVP, VQIP and more. FSMA is the largest overhaul to FDA’s food regulations in the last 70+ years and EAS is proud that our assembled team of independent regulatory consultants has such vast expertise in the many areas under the FSMA umbrella. EAS Independent Advisor for Food Law and Regulation, Steve Armstrong produced a similar video recently on our services in the area of product development and labeling, a challenging area as companies work to build strategic development and marketing strategies in a very competitive international marketplace. A great number of EAS webinars are available on YouTube channel. Please join us for any of our on-demand webinars on a variety of topics, from SQF to dietary supplement laboratory compliance to drug establishment and registration listing information. As always EAS and our team of over 150 regulatory consultants are here to assist. Independent Advisor for Food Law and Regulation, Steve Armstrong, will discuss Innovative Claims, as part of a USDA Review at the April 19-20, 2018 third annual CLE Food Law Conference in Denver. His co-presenter is Jeffrey Canavan, Deputy Director, Labeling & Program Delivery with the Food Safety Inspection Services, USDA. Up to 12 Hours of MCLE Credit are available for attending this conference, including one hour of Ethics. EAS Senior Director for Dietary Supplement and Tobacco Services, Tara Lin Couch, Ph.D. and Independent Advisor for Dietary Supplements, Timothy Stewart, Ph.D. will attend SupplySide East in Secaucus, NJ April 10-11, 2018. Please come by the EAS exhibit booth, F152, to discuss regulatory challenges impacting your business and opportunities for solutions provided by EAS’ extensive network of over 150 independent consultants. EAS President and COO, Dean Cirotta and Independent Consultant Karen Dixon will attend the Tobacco Manufacturers Association’s Annual Meeting and Conference taking place April 9-11, 2018 in Leesburg, VA. EAS is also a Marquee Sponsor of the event. The meeting will discuss FDA’s new policy direction for the tobacco industry, including a Nicotine Product Standard, the Cigar Exemption, FDA Premarket Submissions, and Harm Reduction. Susan Crane is EAS’ Independent Advisor for OTC Drugs and Labeling. She is an experienced professional in the pharmaceutical industry specializing in quality and regulatory compliance for over-the-counter (OTC) and dietary supplement products and has a thorough knowledge of federal regulations pertaining to the marketing, labeling, and distribution. Susan’s guidance for clients ranges from Good Manufacturing Practices, Labeling, Enforcement Policy (Recalls), Dietary Supplement and Nonprescription Drug Consumer Protection Act, Consumer Product Safety Commission (CPSC) – Poison Prevention Packaging Act, Consumer Product Safety Improvement Act, and OSHA Hazard Communication Standards. 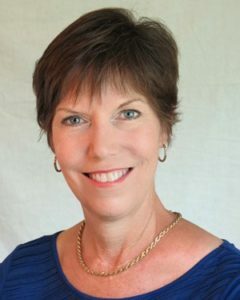 She is a frequent instructor for CHPA’s OTC Academy, presents webinars and publishes articles in industry publications on a variety of OTC related issues. Those with oversight of labeling compliance of dietary supplements may wish to register for our next Dietary Supplement Labeling Compliance Seminar which will take place September 26-27, 2018 in Kansas City, MO. Immediately following the food labeling compliance seminar, this intensive two-day session will cover the latest FDA requirements and be taught by our expert trainers James Hoadley, Ph.D. a former FDA Senior Regulatory Scientist in the Office of Nutritional Products, Labeling and Dietary Supplements who participated in the development of NLEA-implementing nutrition labeling and health claim regulations, and Gisela Leon, an internationally recognized expert who has reviewed hundreds of labels for US compliance and helps international products to come into compliance with US regulations. Due to much industry confusion regarding FDA’s changes to Nutrition Facts Panel, EAS will conduct one-day regulatory update seminar, FDA’s NEW Food Labeling Requirements, on May 31, 2018, in Alexandria, VA. This one day update will immediately follow our two-day Food Labeling Compliance Seminar and can be taken as a stand-alone course or a follow-on after attending the two-day seminar. Instructed by EAS Independent Advisor for Labeling and Claims, Elizabeth Campbell and EAS Independent Consultants, April Kates and Gisela Leon, with invited participation by FDA/CFSAN, this course will offer an interactive forum for a deeper dive into some requirements that have presented particular challenges related to applying the new Nutrition Facts Panel requirements. Early-bird pricing is in effect for both courses through April 15, 2018, and the two-day seminar provides 16 CEU credits through the Commission on Dietetics Registration. We have also recently added a second Food Labeling Compliance Seminar in Kansas City, MO on September 24-25, 2018. EAS would like to bring to your attention, the Statement from FDA Commissioner Scott Gottlieb, MD regarding drug compounding outsourcing facilities. The Drug Quality and Security Act (DQSA) was enacted by Congress in 2013 in response to a significant safety issue experienced by the public as the result of poor drug compounding practices. As seen with recently issued warning letters, the FDA is also prioritizing enforcement of section 503B of the Federal Food, Drug and Cosmetic Act which allows for compounded drugs which are not FDA-approved and do not undergo premarket review by the FDA for safety, effectiveness, and quality. In the FDA’s ongoing efforts to enact measures to ensure this allowance is exercised only when necessary and appropriate, and in a safe manner with assured product quality, they have released the Draft Guidance Evaluation of Bulk Drug Substances Nominated for Use in Compounding Under Section 503B of the Federal Food, Drug and Cosmetic Act. In this guidance, the FDA addresses their plan to formulate the “503B bulks list”, a list of bulk drug substances determined by the FDA as clinically necessary for outsourcing facilities to use for compounding drugs. Follow the links for further information. Now that the dust has settled with the 2017 FDA requirement to certify all drug listings annually, we would like to bring to your attention the necessity to complete expired listings. Under 21 CFR 207.57(b), registrants must submit updated listing information at each June and December if there is change since the previous listing and they must submit this information to the FDA via electronic format. These changes include any drug recently introduced into U.S. commercial distribution which was not previously listed, any drug which commercial distribution has been ceased, any drug reintroduced in commercial distribution and any material changes in any drug listing information previously submitted. The FDA has communicated that although listings that were not certified by 31 December 2017 have been changed to an expired status, it is still required to ‘complete’ the marketing status and input an ‘end marketing date’ in order to delist the product. EAS is here to assist with any listing issues you may need to be resolved. Please let us know if we can help. Although six months have passed since the compliance date for large animal food facilities to meet Good Manufacturing Practices (GMPs) and Preventive Controls requirements, and for small animal food facilities with fewer than 500 full-time equivalent employees, to meet the GMPs, the pet food industry in particular continues to struggle with the FSMA Final Rule for Preventive Controls for Animal Foods. Despite FDA having indicated that the industry should expect greater inspection activity for GMP compliance after September 18, 2017, numerous recent recalls suggest an excess of complacency on the parts of some, and a challenge in understanding and meeting the requirements of others. Recent popular trends for raw meat diets in pet food have led to a spike in the frequency of recalls for pathogen contamination. Contamination in pet food and animal food, much like human food, can cause ill effects and even death. In the case of pet food, cross-contamination also has the potential to cause harm to humans. The final rule requires animal food facilities to have a written food safety plan, including GMPs, and controls in place for any hazards identified as part of a required hazard analysis. In addition, risk-based preventive controls must be in place for processes, as required, to reduce or eliminate the risk of additional contaminations. FDA’s staggered compliance dates are based on the size of a business, with the next compliance date for small businesses to meet preventive controls requirements in September 2018, at which time very small businesses will need to meet CGMPs. Large firms were expected to have preventive controls in place effective September 2017. However, FDA will not begin conducting routine inspections of preventive controls until the fall of 2018, allowing time to ensure companies understand and are able to meet those expectations. FDA also just released draft guidance to help firms determine whether they meet the definition of a small business, which of course directly impacts whether the company is exempt from the human food preventive controls requirements and the animal food preventive controls requirements if they are engaged only in specified low-risk activity/food combinations. Also, small businesses have later compliance dates for parts 117 and 507 than larger businesses. The written food safety plan is required to have a hazard analysis. Hazards identified as needing preventive controls, such as process controls, sanitation controls, and others, require firms to implement controls to ensure those hazards are reduced or eliminated in all foods the facility manufactures, processes, packs, or holds, and when applicable, supply-chain programs. A recall plan is also required. Preventive Control plans must be prepared by or the preparation overseen by a “preventive controls qualified individual” for animal food. I’ll bring to your attention a recent webinar hosted by EAS independent consultant, Dr. Omar Oyarzabal, an expert of acidified foods, who recently hosted a webinar on FSMA impacts on Acidified Foods along with Priya Rantham, an FDA Consumer Safety Officer. The process controls of acidifying foods are complex. Dr. Oyarzabal does an excellent job of simplifying the understanding both in this free on-demand webinar and in a Q&A based on the webinar recently published in Food Safety Tech. In addition, regarding sanitary controls, EAS Independent Consultant Dr. Kathy Glass and Senior Director for Food Consulting Services, Allen Sayler, answered many questions on contamination and control of Listeria monocytogenes. While this information was directed at RTE human foods, much of the information is also applicable to animal foods. On the subject of EAS resources, you may also be interested in an EAS produced FSMA pocket guide, which contains the 21 CFR Part 117 regulation. This pocket guide is also available digitally as a free download from our website. The FSMA Final Rule for Preventive Controls for Animal Foods is just one of FDA’s many efforts at requiring and enabling greater control and oversight of safety for all manufacturing, processing and holding facilities of human and animal foods and animal feed. Through a combination of GMPs, hazard analysis and risk-based preventive controls, we can expect greater food safety for all. Please reach out to EAS if you have any questions on this or other FSMA rules. We offer comprehensive services in this area and would be glad to discuss your firm’s readiness and compliance with FSMA requirements. It’s been clear for several years that the FDA, as well as the Federal Trade Commission (FTC), are turning up the heat on homeopathic drug products. It culminated in December 2017 when the FDA published a draft guidance document for both FDA staff and industry regarding their new approach to regulating “Drug Products Labeled as Homeopathic”. This followed on the heels of FTC’s “Enforcement Policy Statement Regarding Marketing Claims for Over-the-Counter Homeopathic Drugs” published in 2016. As the homeopathic industry grew, the Agency re-evaluated its position and announced in 2015 that it was going to evaluate the regulatory structure for these products. It hosted a public meeting that spring during which interested parties (manufacturers, health care professionals, industry associations, etc.) could provide input and make suggestions as to whether the current framework was appropriate for ensuring the safe use of these products. As a result of the meeting and FDA’s own evaluation, it determined that a new guidance document, applying a “risk-based” approach to enforcement, would better serve public health and be consistent with the Agency’s general approach to products marketed without FDA approval. The Codex Alimentarius Commission (Codex) is a United Nations food standards setting body working under the auspices of the Food and Agriculture Organization and the World Health Organization (WHO). The official mission of Codex is to protect consumers’ health and ensure fair practices in the food trade. Codex standards are relied upon by exporters to set a level competitive playing field. Many countries incorporate Codex standards into their national laws and Codex standards often serve as specifications within the international food trade. Codex standards, ranging from labeling requirements to lists of approved food additives, significantly affect the ability of food manufacturers to export their products around the world. Since 1994, Codex food safety standards have also played an express role in settling trade disputes over unjustified trade barriers disguised as national food regulatory requirements. Under the World Trade Organization’s (WTO) Agreement on Sanitary and Phytosanitary Measures, nations that wish to apply stricter requirements than those set by Codex must justify those measures scientifically. Not surprisingly, trade disputes have long been intertwined with the Codex standard-setting process. 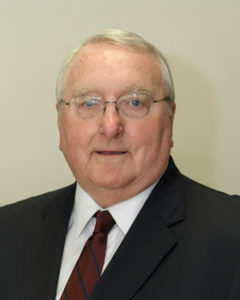 In response to such controversies, U.S. Secretary of Agriculture Sonny Perdue late last year moved the U.S. Codex Office from USDA’s Food Safety and Inspection Service (FSIS) to the Office of the Undersecretary for Trade and Agricultural Affairs led by Ted McKinney. Food companies and industry trade associations have overwhelmingly supported the decision. Secretary Perdue announced the creation of the Undersecretary for Trade and Foreign Agricultural Affairs position while reviewing options for improving coordination on trade and international activities. As part of that process, Secretary Perdue determined that the U.S. Codex Office should be moved from FSIS to the new trade mission area. While the U.S. Codex Office mission remains the same, the move is significant. Food companies and trade associations should take a new look at the agendas of key Codex Committees, http://www.fao.org/fao-who-codexalimentarius/committees/en/ to examine whether the U.S. government positions on specific points can be strengthened. A full list of all active Codex Committees can be found here, http://www.fao.org/fao-who-codexalimentarius/committees/en/. Each Codex committee is considering agenda items that will have an impact on U.S. exports. Some draft Codex standards now under development are inconsistent with U.S. laws and regulations. For example, the agenda of the Codex Committee on Nutrition and Foods for Special Dietary Uses (which includes dietary supplements), http://www.fao.org/fao-who-codexalimentarius/committees/committee/en/?committee=CCNFSDU, has been particularly controversial in recent years, with the nitrogen to protein conversion factor issue pitting dairy interests against vegetable protein interests and the US against the EU in the areas of infant formula and other special dietary food standards. The agenda for the November 2017 meeting can be found at http://www.fao.org/fao-who-codexalimentarius/sh-proxy/en/?lnk=1&url=https%253A%252F%252Fworkspace.fao.org%252Fsites%252Fcodex%252FMeetings%252FCX-720-39%252Fnf39_01_rev1e.pdf. Food manufacturers may also wish to keep a special eye on the Codex Committee on Food Labeling, http://www.fao.org/fao-who-codexalimentarius/committees/committee/en/?committee=CCFL. Canada, which hosts and chairs the Committee on Food Labeling, http://www.fao.org/fao-who-codexalimentarius/committees/committee/en/?committee=CCFL, is formally proposing its own national regulations for front-of-pack nutrition rating symbols, https://www.canada.ca/en/health-canada/programs/consultation-front-of-package-nutrition-labelling-cgi/summary-of-proposed-amendments.html. The issue has already been placed on the agenda for the Codex Committee on Food Labeling, http://www.fao.org/fao-who-codexalimentarius/sh-proxy/en/?lnk=1&url=https%253A%252F%252Fworkspace.fao.org%252Fsites%252Fcodex%252FMeetings%252FCX-714-44%252FWD%252Ffl44_01e.pdf. In contrast to Canada, the U.S. Food and Drug Administration (FDA) supports a voluntary front-of-pack nutrition-labeling program developed by the Grocery Manufacturers Association and the Food Marketing Institute. The U.S. Codex Office regularly announces public meetings, held in the Washington, D.C. area, to formulate the position that the U.S. government will take at Codex meetings held in the U.S. and overseas. Companies and trade associations have an opportunity to express their views to USDA, FDA, Office of the U.S. Trade Representative, and other relevant U.S. government agencies. https://www.fsis.usda.gov/wps/portal/fsis/topics/international-affairs/us-codex-alimentarius/public-meetings. Participants can offer comments in written or oral form and speak directly with leading U.S. government officials that will attend official Codex meetings. For example, on March 15, 2018, a U.S. government preparation session for the forthcoming meeting of the Codex Committee on Pesticide Residues was held in the Washington metro area, https://www.fsis.usda.gov/wps/portal/fsis/topics/international-affairs/us-codex-alimentarius/committees-and-task-forces/general-subject-committees/codex-committee-on-pesticide-residues/ct_index. Other open meetings of the U.S. government delegation to Codex committee meetings will follow later this year. In addition to the Codex Committee on Nutrition and Foods for Special Dietary Use, and the Codex Committee on Food Labeling, key Codex committees include the Codex Committee on Food Additives http://www.fao.org/fao-who-codexalimentarius/committees/committee/en/?committee=CCFA, with over 400 food additives being considered for inclusion or deletion including those for fish, chocolate, wine, a number of dairy products. Also anticipated is an initial resolution of a stalemate between the EU block and the US and its allies on a significant number of colors and sweeteners, stalled from adoption for almost 6 years. The November 2017 report of the Codex Committee on Food Hygiene can be found at http://www.fao.org/fao-who-codexalimentarius/sh-proxy/en/?lnk=1&url=https%253A%252F%252Fworkspace.fao.org%252Fsites%252Fcodex%252FMeetings%252FCX-712-49%252FReport%252FREP18_FHe.pdf, with significant rewrites of a number of Codex Hygiene documents including the HACCP Appendix for the Codex General Principles for Food Hygiene. The upcoming agenda for the Codex Committee on Contaminants in Foods and be found at http://www.fao.org/fao-who-codexalimentarius/sh-proxy/en/?lnk=1&url=https%253A%252F%252Fworkspace.fao.org%252Fsites%252Fcodex%252FMeetings%252FCX-735-12%252FINV-PA%252Fcf12_01e.pdf, with lead levels and dioxins in foods, among a number of important topics to be discussed. The relocation of the U.S. Codex Office within USDA to the new office for the Undersecretary for Trade and Agricultural Affairs should strengthen the new Administration’s commitment to international trade by providing a broader platform and US presence within the Codex “world” in order that global food standards are supportive and do not hinder US food exports, as they have sometimes done in the past. It’s housing within Trade and Agricultural Affairs should enhance ongoing dialogue and understanding about food regulatory matters domestically and worldwide. US-based food companies and their supporting trade associations should take advantage of this new opportunity and become more active in those Codex issues impacting their food sector by becoming strong Codex advocates and make their views known. For more information, contact Allen Sayler, Senior Director of Food Consulting Services at asayler@easconsultinggroup.comor 571-447-5509. EAS has teamed up with FoodMinds to offer food firms a new solution to the many product and marketing challenges of this highly regulated and litigious climate. From acceptable claims to new requirements for compliant labels, to how products are marketed, the industry is faced with new challenges daily. EAS and FoodMinds combine the best in regulatory and marketing talent to develop a targeted approach for promoting brand awareness and integrity while meeting the many federal requirements of FDA and/or USDA and FTC. Learn more about this collaboration by reading our Press Release and learn more about how this collaborative effort can benefit your organization. Senior Director for Food Consulting Services, Allen Sayler will present two sessions at the upcoming Oregon Dairy Industry Association’s 107th Industry Conference taking place in Salem, OR April 10, 2018. Allen’s first discussion will be on FDA’s Enforcement of the FSMA Preventive Control, Sanitary Transport and Food Defense Programs in Dairy Plants. Later in the day, he will moderate a breakout session on the Biggest Changes to Grade “A” Dairy Plant Requirements in the last 50 Years.